What do you want people to do with the brochure? What are the top 3 takeaways that the reader should understand (ideally, don’t pick more than three)? Point form list of the product/services provided. Use sub-categories where necessary. A short “about” section. Keep this at a minimum!! Readers don’t really care about you. The care about solving their problems. Stay away from long personal stories. This isn’t about you. It’s about problems you can solve for the reader. Focus on solutions that you can offer, and leave the long personal about stories out. Keep the “about” section very short.. less than 500 words.. and preferably point form. You don’t need to go into a long personal diatribe, because your reader will understand your story through the products/services/branding that you offer. If you are using any professional templates.. make sure you do a printout of the brochure (any printer, even black/white will do) so that you can see how large the text is. The text should be approximately the same size as what you might see in your local newspaper. Keep the heading font sizes consistent. Less is more. The brochure isn’t a YouTube branding video, it’s a vehicle for information. Use pictures sparingly. Only use photos if they enhance the information presented. If the brochure isn’t negatively impacted by removing a photo, remove it. Point form is always better. People rarely want to read through paragraphs of text. Point form as much as possible, but without sacrificing information quality or integrity. Put your very best content in your brochure. Even if it’s something you might only offer later through VIP or Subscription. Something worth noting about movie trailers: producers put the very best actions scenes in the trailer. They don’t hold back – except for surprise endings and stars. Get someone to review the brochure and give you honest feedback. I will say it again – PRINT it out.. it doesn’t matter what kind of printer you use, color or black and white.. as long as it approximates the final size. Once your brochure goes to a printer, it’s too late. If the final colors are important, ask your contractor to send you a “print ready” PDF file. Take that PDF file to any print shop and get a color sampling done. It might not be exactly like the final run, but it will be close. Get the brochure pre-folded if possible. 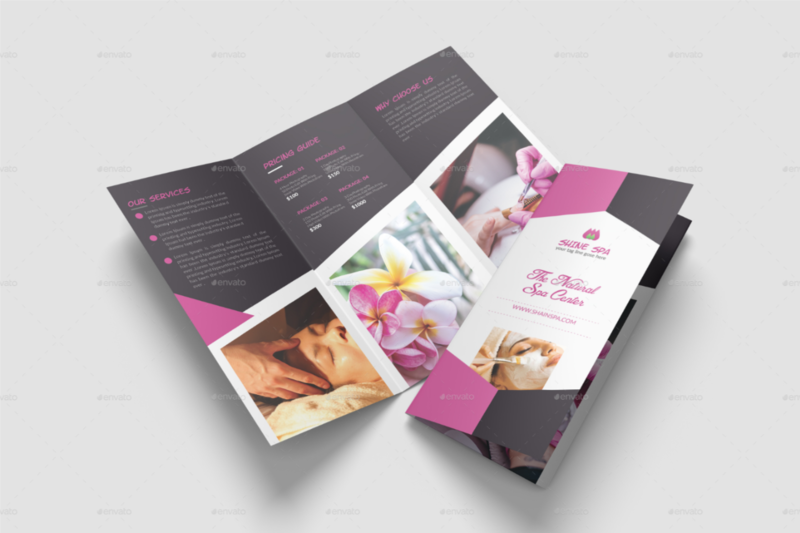 Most print shops will do a tri-fold as standard practice but often have to send the job away for special brochure layouts. Focus on content BEFORE layout. Your content is the primary mover, so make sure you have the content that you want to include in the brochure. Choose your layout/design based on the content that you MUST have. Design doesn’t matter nearly as much as you think. The only page that really needs to catch people’s attention is the first fold that they see. In a tri-fold layout there are 6 panels in total. Three on the inside, and three on the outside. On the inside, the typical layout is Questions, Offerings, Offerings. And then on the back is Questions/Offerings/About, Contact, Front Page. You can switch the layouts around as you like, but I do urge you to keep the last two panels on the outside as Contact and Front page. Keep the contact information on the middle outside panel of a tri-fold brochure. That way when the brochure is folded, the reader can simply flip your brochure around and get in touch with you. The brochure needs to provide “just enough” to get the reader to take action – visit your web site, contact you, send an email, buy something, etc, so WOW them if you can. Don’t wow them with your personal story, wow them by enlightening them about something important that they might not know. Or wow them with a fantastic product/service that solves a problem for them. Also see point 6 above regarding movie trailers. Movie trailers provide “just enough” to make you go see the movie. Google “full bleed” printing. I’m not going to repeat what someone else could describe better. Upwork.com – find a contractor here that has experience with Photoshop, Illustrator, and perhaps even brochure work. Graphicriver.net – this is a great resource for brochure templates and ideas. Buy a template here and then hire a contractor on upwork.com to complete the job. In Vancouver, JukeBoxPrint. I love their quality and options and the price isn’t bad. In your local city, visit Yelp or Google Reviews and look for the top rated printers. Once you find the top 3 printers, visit their Facebook page and web site (they all have) and see what users are saying. Make sure whatever printer you use will have a large Facebook following. Do you need professional help with brochure design and content? Get in touch!